Though it is science institute many of students are ahead in sports field. In this academic year our students played various games at zonal, Inter zonal, Inter University, State and National level like Swimming, Chess, Basketball, Volleyball, Football, Kabaddi, Kho-Kho, Taekwondo, Judo, Boxing, Athletics, Cricket, Table-Tennis and Archery. Basketball player Rushabha Gadach has been selected for All India Inter University competetions at Chennai. Archery player Rohit Nikam had been to Kurukshetra for All India Inter University Archery tournaments. Vibhavari Babar selected as best Basketball player for Maharashtra State in Inter University Krida Mahostav. Football player of our institute Ashalata Pharande, Akshata Kambale and Neha Douza have been selected for Inter University tournaments in Shivaji Univeristy. Sayali Pharande (Boxing), Pallavi Khade & Aishwarya Nilakhe (Volleyball), had been Inter University players. Junior College player Tushar Pawar (kick boxing) and Apurva Nevase (Dodgeball) secured second position in the National game. Nikita Yadav (Rope-mallakhamb), Chaitrali Gujar (Athletics) Rutuja Pawar, Jayant Deshmukh and Rajat Chavan (Basketball) Akanksha Patil (Karate), Ashish Jadhav (Hollyball), Vivek Nikam (Netball), Apurva Mundravale, Akash Kadav, Ashitosh Deshmukh (Judokand), have been selected for National tournaments. Suchita Pandekar, Neha Inamdar, Richa Tiwatne had been to Delhi for Inter National speed ball competition This year our institute organized National conference on "Recent Trends in Physical Education and sports". Shri. 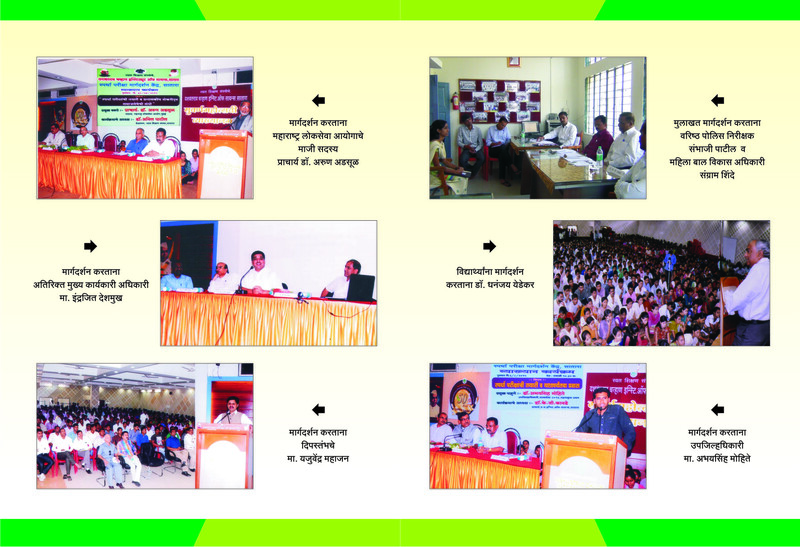 Dinanathsinh, (International wrestler) was the chief guest for conference. Satara Zonal Basketball tournaments for men were also organized by the department.